Should you be one of the brave and determined souls that engage in cold weather training, we salute you. No hibernation for the weary, especially when there are resolutions on the mind. Cold weather training presents its own set of challenges. The body, for one, responds differently to the cold—during preparation, training itself, and recovery time. Here are five tips for better, safer training in cold weather. Follow these and you’ll be well positioned to train stronger throughout the cold season. Just because the temperatures are low doesn’t mean your body isn’t working just as hard (if not harder) than it might during summer. Calorically speaking, your body needs fuel not only to sustain your training routine, but to keep your body arm while doing it. And proper hydration is just as important during winter as it is any other month. Beyond plain comfort, layering yourself properly can help manage cold weather conditions during training. Make sure to insulate your body so it stays warm, of course. But for longer routines, ventilate intermittently to make sure your body doesn’t overheat under the extra layers. Finally, shield yourself from the cutting wind best you can. Cold temperatures can limit blood flow and encourage us to (consciously or not) stay tight and compact to keep in the warmth. While training in cold weather, it is important to maintain circulation throughout the workout. Runners, for example, can windmill the arms, or periodically shake them out. Wiggle the toes, open and close your fists. Maintaining good circulation prevents injury and keeps the body running optimally. A cool down is always a good idea, no matter the weather. That’s because after training, the heart is working extra hard and requires time to gradually return to a normal state. Cold weather puts even more load on the heart, so it’s important to get a gradual cool down to reduce risk of heart strain, fainting, or feelings of sickness. But don’t linger in the cold! Cooling sweat can increase your risk of catching a chill. Vigorous exercise of any kind puts added strain on the body. 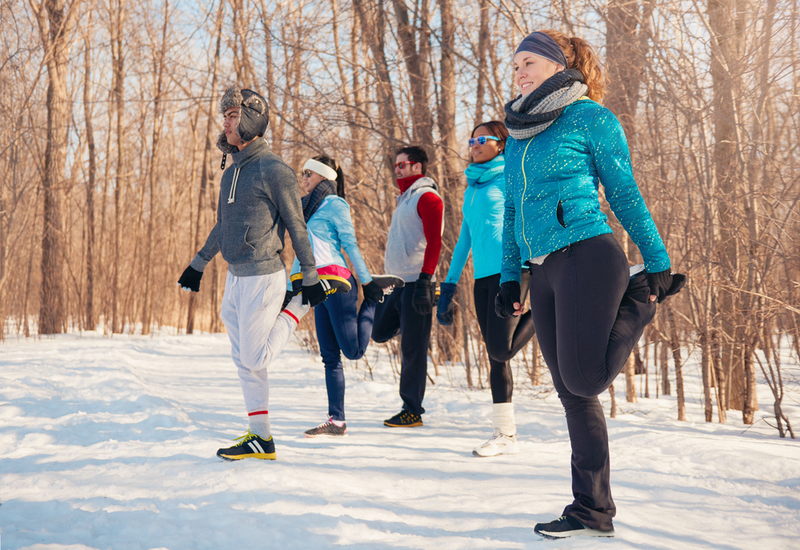 Because training in cold weather requires more heart exertion, it is imperative that those new to exercise, or living with obesity, diabetes, and other chronic conditions, consult with a physician first. Ultimately, the mantra for cold weather training is simple: prepare well and be sensible. The five pointers above should help you train smart during the winter months and be in the best shape of your life come spring. Conventional wisdom tells us that the harder we work, the more progress we will make. Put in the extra hours at the office, for example, or study on the weekends, and you’ll be that much further ahead. Same goes for athletics and exercise, right? As it turns out, too much training can have adverse effects. Though it might seem counterintuitive, working out too hard can harm the body, stunt progress, and lead to injury. Once you reach this tipping point, you might experience overtraining syndrome, or the symptoms associated with training with more frequency and intensity than your body can feasibly recover from. Have you ever gone out for your morning run and said to yourself, “Wow, I just don’t have it today?” Sometimes, you’re just having an off day. It could be sleep related. It might be due to something you ate the previous day. If it’s happening chronically, though, you could be suffering the consequences of overtraining. You can find overtraining syndrome in people of all skill levels and conditioning. People starting new workout or training regimens, for example, are prone to overtraining. In their eagerness to start something new, newbies will often dive into a gruelling regimen headlong without giving their bodies ample time to adjust, recover, and repair. Overtraining can affect even the highest level athletes, too, especially those with gruelling training programs. Distance marathoners, boxers, and and professional weightlifters come to mind. No matter what kind of training you do, it’s important to train smart. The problem with overtraining syndrome is that it can be difficult to identify. Many of the symptoms are shared by other illnesses and disorders. If you think you might have triggered overtraining syndrome, it’s important to first seek your physician’s recommendations. Finally, listen to your body! The human body is a complex machine with built-in mechanisms that signal distress, pain, and overuse. Listen to what your body is telling you, and remember that a “play through the pain” attitude can have serious consequences. 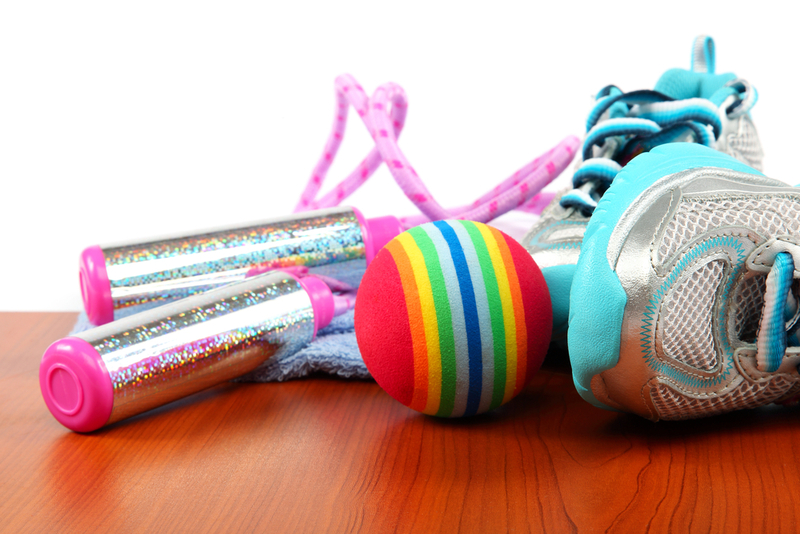 For most people living an active lifestyle, there comes a time when the joints start talking. It could be the knees, hips, and ankles; or it might be your elbows, shoulders, and wrists. No matter our sport or exercise of choice, we rely on our joints tremendously. And like any other body part, joints are prone to wear and tear, damage, and decline. While joint pain is often associated with conditions like rheumatoid and psoriatic arthritis, overtraining, fatigue, and other factors can also cause joint pain. Even one’s diet can have a significant impact on joint strength and dexterity. Let’s start here: if you have joint pain during exercise, it’s unwise to just take extra-strength painkillers and power through. Try, rather, to get to the root of the issue. If your joint pain cannot be resolved completely, managing the symptoms is the next best option. And this requires listening to your body and, in many cases, changing your approach to exercise entirely. Reassess What’s Best For You – There’s a fine line between “just living with” joint pain and doing lasting and irreparable damage. Give your body a rest and go talk to your physician or physical therapist to determine what’s best for your specific symptoms. Your current regimen might be doing more harm than good. Don’t Skip Warmup Or Cooldown – Besides avoiding injury, a good warmup and cooldown routine can help increase blood flow to your joints and prevent swelling, stiffness, or soreness later on. Avoid Too Much Repetition – Pounding the pavement on long runs, day after day, can worsen a problem like joint pain. Though activities like running and cycling are beneficial in many ways, it might be time to mix it up a little. Try incorporating a lower impact routine, such as yoga, tai chi, or swimming. Avoid Overtraining – Mixing up your routine is also a good way to avoid overtraining. Apart from other negative consequences on the body, overtraining can worsen joint pain during exercise. Make sure to get adequate rest between workouts! Reduce Body-Weight Impact – Excessive body weight and gravitational impact can also intensify joint pain. During resistance exercise, try reducing the weight you are lifting. Another alternative is to take to the water, as buoyancy helps reduce body-weight impact as well. While water-based exercises can help reduce joint pain during exercise, the AlterG® Anti-Gravity Treadmill can be particularly effective. Using Differential Air Pressure technology, AlterG treadmills allow you to incrementally reduce body weight impact during walking and running exercises up to 80%. Learn more about Anti-Gravity Treadmills from AlterG.